In steel structures, column-base connections play an important role in transferring loads to the foundation. Due to the complex interactions between various parts of the connection such as the column, base plate, foundation, bolts, stiffeners, and etc, studying the behavior of these connections is a complicated and demanding task. 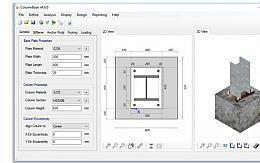 ColumnBase is an innovative software that has been produced to help to solve this difficult task which engineers and structural designers have. 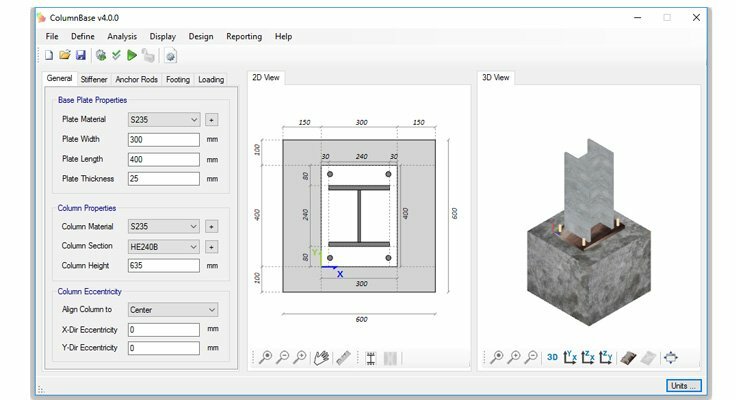 This software uses a three dimensional model of the connection parts (including foundation, column, base plate, grout, stiffeners, etc.) for the finite element analysis and for applying contact modeling analysis to connection parts in simultaneous loading cases. This software analysis the connection model and then checks the analysis results according to designing standards and handbooks. * ColumnBase download link provides demo version of the software. ColumnBase has been rated 5.0 out of 5 points. A total of 5 votes cast and 0 users reviewed the software.